The chain of the trendy jewellery is intended from white rounded and heart formed kundan beads hooked up to gold plated brass metal base. 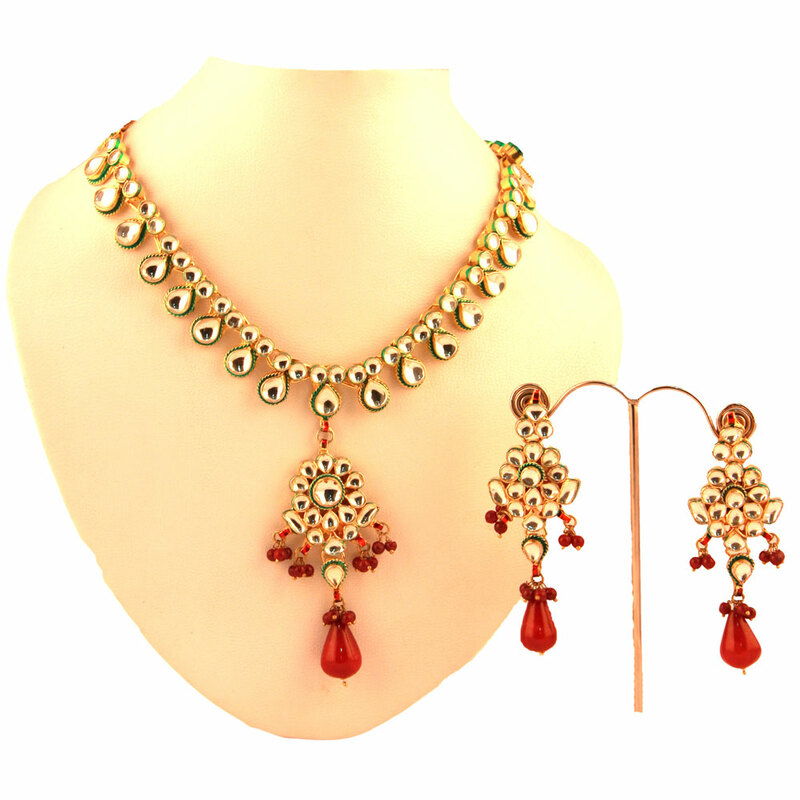 The aesthetic beauty of this kundan necklace and earrings set is enhanced by the red hanging drops and beads that adorn the necklace pendant and Read More..the earrings. The chain of the stylish necklace is designed from white rounded and heart shaped kundan beads attached to gold plated brass metal base. Show Less..
-) Wrappers (Premium gift wrapping) are also a great way of driving home the power of custom made gifts. Deliveries in remote areas, where courier services do not operate, are dispatched through Speed Post which may take more time. In case of Bulk Quantity, if the desired number is not in stock, then product manufacturing may take few days more. It's available on bulk quantity (minimum 15 pcs.). Do you want to order a sample piece, before you BUY? We want you to feel confident about the material, finish and dimensions of the product you choose. That's why we are pleased to offer you samples to let you touch and experience the product before you gift to your loved ones. 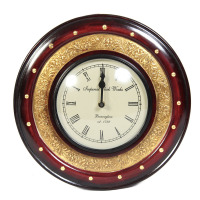 The clock itself is placed within a circular picket frame that's once more encircled by the splendid brass frame adorned with tangled self carving.